Everything that we have comes from the Earth, one way or another. 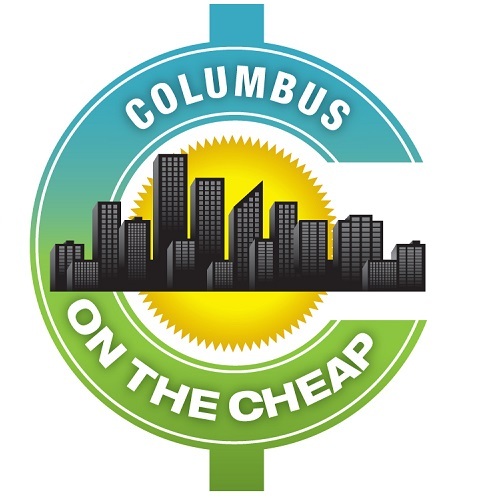 Celebrate those gifts and give back with these Earth Day specials and events in Columbus, including volunteer opportunities, free food, parties, kids’ activities, and so much more! Volunteer with Green Columbus: Dozens of Earth Day Volunteer opportunities in the weeks leading up to and including Earth Day. National Park Week: Free free day on April 20 and other activities from April 20-28, 2019. Earth Month in Dublin: April 20 – 27, 2019. Household hazardous waste disposal event on 4/20, Earth Day Service Project on 4/22, Food Composting 101 on 4/23, and Arbor Day on 4/26. See details for all of these events at the website. Earth Day in Worthington: April 20 from 9 am – 3 pm at Northwest Library (2280 Hard Road). They’ll be giving out tree and shrub seedlings as well as some native perennials. You can volunteer to help prepare the library gardens for the growing season while you’re there. See details at the website. Earth Day After Party at Land-Grant Brewing: April 20 from 8 pm – 11 pm. You volunteered for Mother Earth, you celebrated at Genoa Park! Let’s keep the party going over at Land-Grant Brewing Company! Earth Day After Party from 8pm-11pm. Tell your bartender you’re there for the Earth Day After Party with Green Columbus and 20% of the bar tab will go to support Green Columbus! Free Veggie Burger at Northstar Cafe: April 22, (but it’s been a yearly promotion) from 11 am – 10 pm. Expect long lines! Beauty for the Earth with Nurtur the Salon: Get reduced beauty treatments for $20-$65 on April 22 from 9 am – 3 pm. Appointments are required. Columbus Zoo Earth Day Celebration: Party for the Planet on April 27, from 9 a.m. – 5 p.m. Learn about little things that you can do in your daily life that will add up to make a big difference for all living creatures. Free with Zoo admission or membership. Earth Day Hillard: April 27from 10 am – noon at Hilliard Community Center. Celebrate Earth Day with the Environmental Sustainability Commission and Department of Recreation and Parks. Learn about composting, energy efficiency, water conservation, and more. They’ll also have fun activities for kids, and several recycling drives. See info here. Earth Day Celebration at The Crest Gastropub: April 28 from 10 am – 3 pm. This family and pet-friendly event celebrates Earth Day with a petting zoo, craft stations, and face painting for the little ones. They’ll also have yoga, music, complimentary finger foods, and drinks. Check out their other events leading up to the Earth Day celebration. See details about the celebration here. Really Big Fun Earth Day at Vandarelli Room (218 McDowell St, Columbus) Fun event on April 28 from 11 am – 2 pm includes a Kids’ Art show, vendors, live music and entertainment! Subaru and its retailers nationwide are continuing our partnership with TerraCycle® to keep hard-to-recycle waste out of landfills and turn it into useful items for our community like park benches and bike racks. So far, over 1,000,000 pieces of waste have been diverted from local landfills.